Sound sleep can be hard to come by if the contents of your stomach refuse to stay down. Owing largely to less than stellar lifestyles, many people suffer the miseries of acid reflux whenever they lie down. 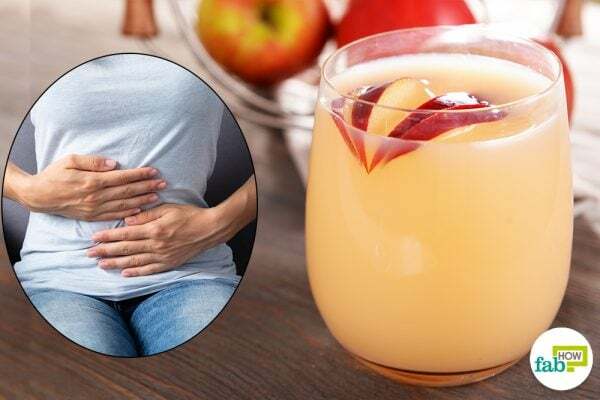 If you’re a victim of frequent acid reflux, also known as gastroesophageal reflux disease (GERD), apple cider vinegar is the one-ingredient treatment that you should try. The lower esophageal sphincter (LES) muscle which is located at the base of the esophagus, generally allows one-way movement of food into your stomach to be digested. The only exception is when you burp or vomit. When the LES malfunctions, stomach acid and sometimes even food, can reflux or flow back up into the esophagus. While the popular notion is that excess acid causes acid reflux, it is, in fact, often the case that not having enough acid in your stomach may contribute to the problem. Certain foods along with excess alcohol and caffeine intake can slacken the LES. An unhealthy lifestyle combined with an unhealthy diet also can weaken the LES, triggering frequent acid reflux. A hiatal hernia and pregnancy also make the body more prone to acid reflux. Unlike your stomach, your esophagus is not lined with a protective layer of mucus to withstand strong stomach acid and digestive enzymes. This leads to a burning sensation in the throat and chest during acid reflux, as the acidic content severely irritates the esophagus. This symptom is also known as heartburn and is felt like a burning pain behind the breastbone (sternum). 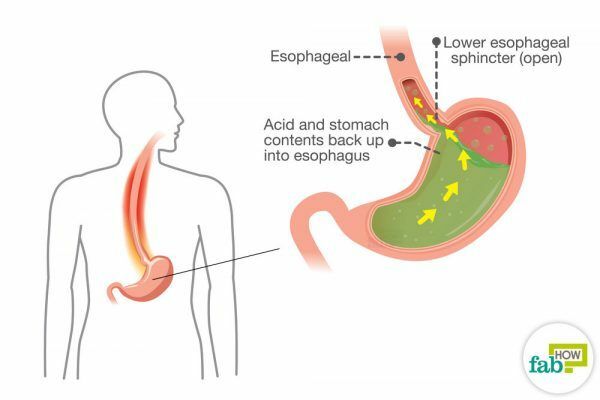 Acid reflux can also cause a painful spasm of muscles lining the esophagus, causing a tight, constricting pain that can be mistaken for a heart attack. Other symptoms include a sore throat that can lead to hoarseness and a dry cough. You may also experience difficulty swallowing or feel like you have a lump in your throat. The best way to keep GERD in check is to adopt a healthy diet and lifestyle. Cut back on alcohol and caffeine intake. Avoid spicy or greasy food, as well as chocolate, peppermints, tomatoes and citrus fruits as these, can trigger symptoms in some people. Avoid overeating, which puts a strain on your LES when the stomach is too full. Keep a gap of 2 to 3 hours between your evening meal and bedtime to allow the contents of your stomach to settle down. Refrain from having late-night snacks. Engage in regular exercise and follow a healthy diet to ensure that you have a healthy weight. Obesity is a risk factor for acid reflux. Conventional prescription and over-the-counter medications typically provide only momentary relief of acid reflux symptoms. Furthermore, the body becomes used to them over time, and they stop providing the desired results. In some cases, they can also aggravate the problem. While it may seem surprising, given that apple cider vinegar is acidic, it aids digestion and is a traditional and effective treatment for acid reflux. Raw organic apple cider vinegar contains probiotics and enzymes that help your body fight infections and prevent GERD. Caution: Apple cider vinegar may interact with some medications like laxatives, diuretics, and diabetes or heart medications. Do not consume apple cider vinegar if you’re on such medications without first checking with your doctor. Apple cider vinegar in itself is an effective remedy for acid reflux, but it should always be diluted in order to reap its full benefits. Diluting it prevents the potential side effects that straight apple cider vinegar may have, especially on the esophagus and tooth enamel. Pour 2 tablespoons of apple cider vinegar into 1 cup of water and mix thoroughly. 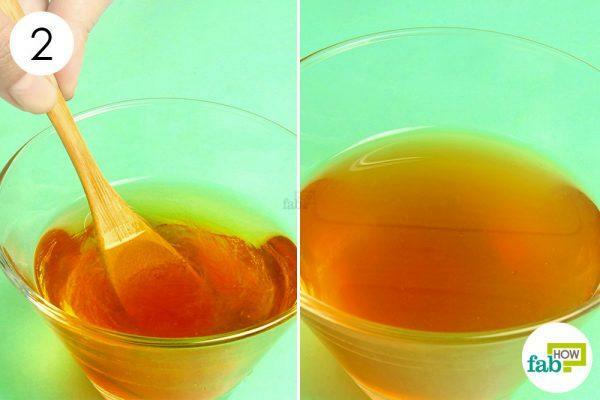 Consume this apple cider vinegar drink twice a day an hour before meals to keep acid reflux at bay. 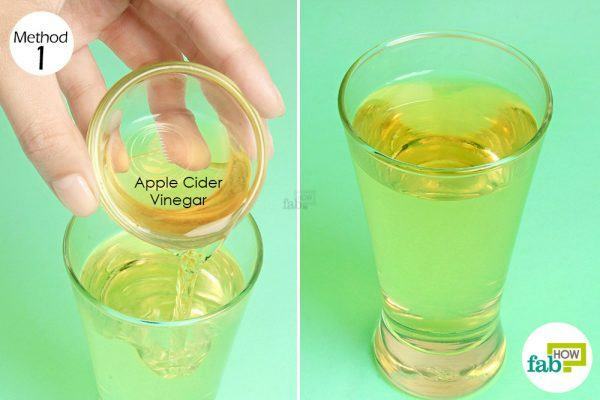 Apple cider vinegar taken with baking soda makes for an effective acid reflux remedy. That’s because baking soda helps to neutralize excess acid in the stomach. Baking soda also provides relief from the heartburn caused by acid reflux. Pour 2 tablespoons of apple cider vinegar into 1 cup of water. Add 1 teaspoon of baking soda to the water. 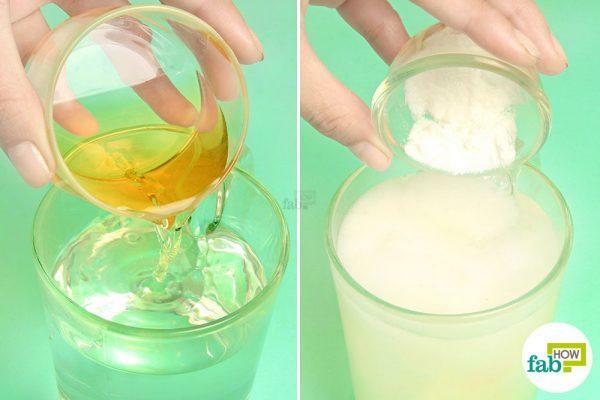 The baking soda will bubble and fizz upon coming in contact with the apple cider vinegar, but it settles down eventually. 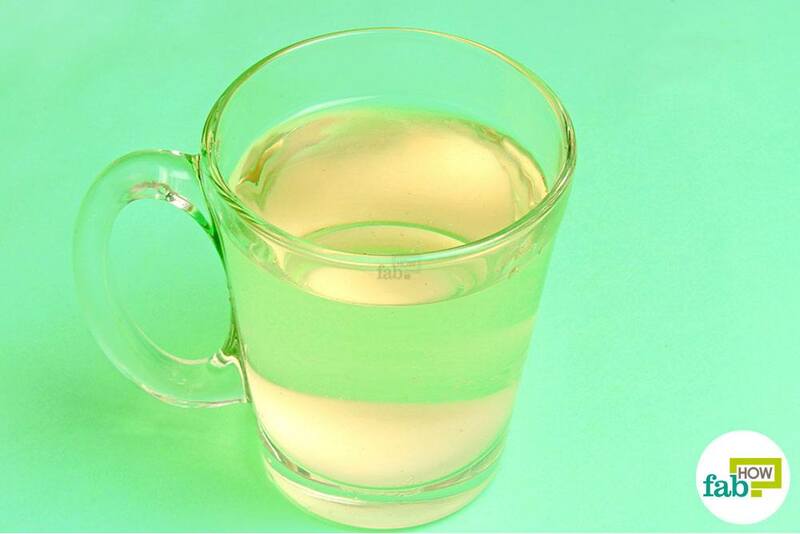 Consume this drink on an empty stomach 2 or 3 times a day to treat acid reflux. Consuming this drink regularly can help keep acid reflux at bay. 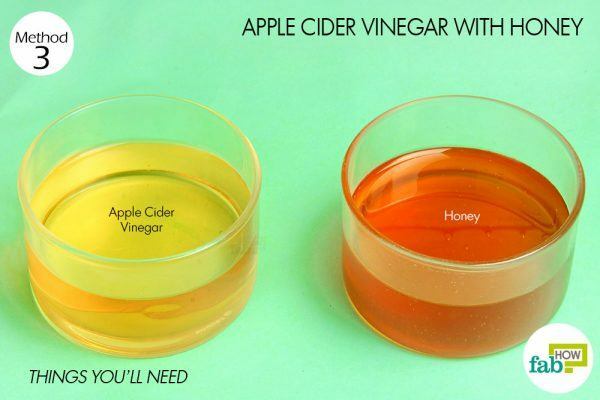 You can also take apple cider vinegar with honey to treat acid reflux. Honey not only improves the taste of the apple cider vinegar, but it also aids digestion. 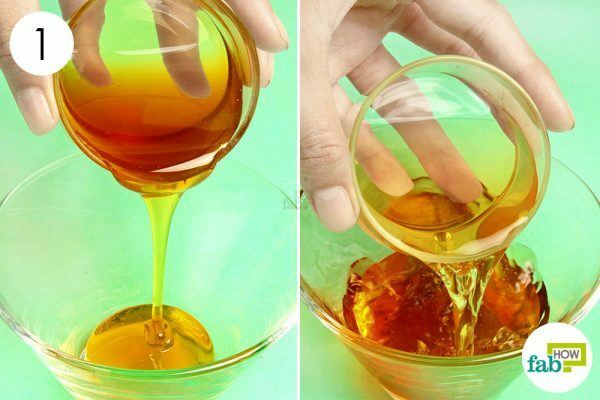 Plus, honey has a soothing effect and provides relief from the burning sensation. 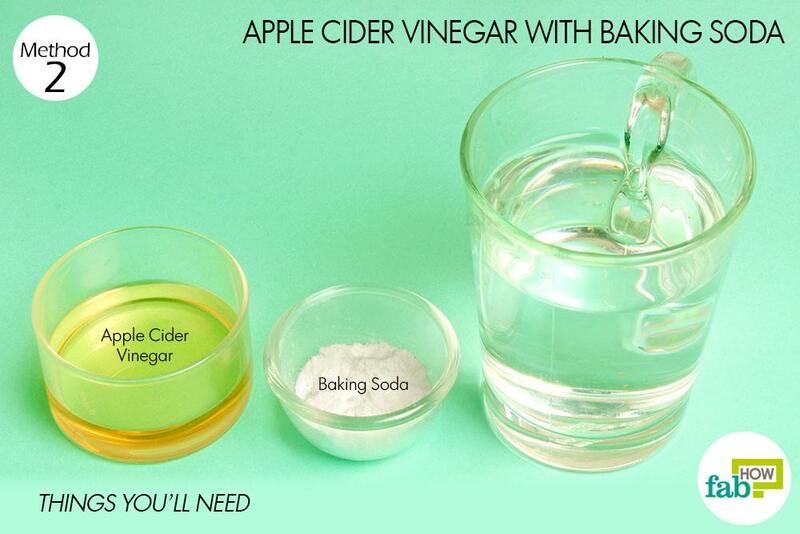 Add 2 tablespoons of apple cider vinegar to it. 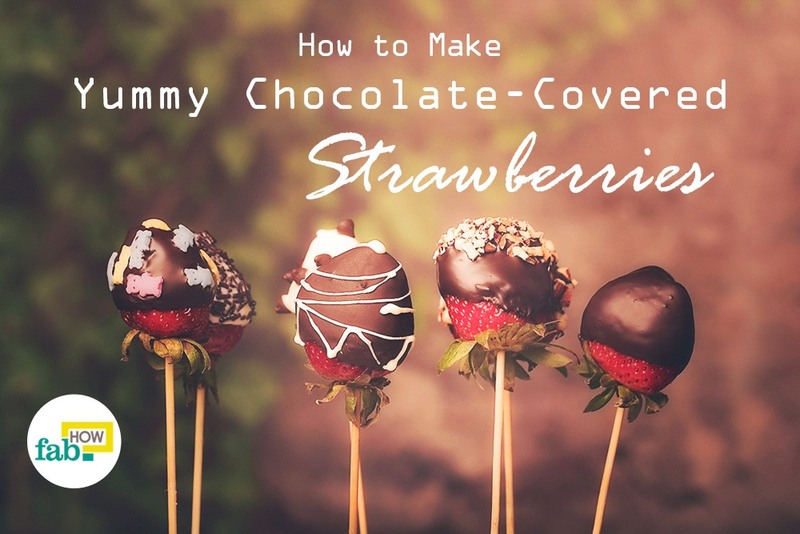 Stir with a spoon to mix the two ingredients completely. Steadily sip on this concoction whenever you suffer from acid reflux. Always dilute the apple cider vinegar before taking it. Consuming pure apple cider vinegar may erode your tooth enamel over time. It can also irritate your esophagus and make your heartburn worse. To further protect your tooth enamel, you can use a straw to consume apple cider vinegar drinks (especially if it is taken with honey). Every person’s body is unique. If apple cider vinegar doesn’t agree with you, try other home remedies like eating an apple, banana or some mustard. Always consume apple cider vinegar on an empty stomach, at least 1 hour before eating your meal. Monitor and change your diet and lifestyle to prevent frequent acid reflux. What is the safe upper limit for daily ACV consumption? The safe upper limit for consumption of ACV depends on numerous factors like your age, current medications if any, any particular ailments, etc. However, if you are an adult not suffering from any serious health issues, you may consume up to 2 tablespoons of diluted ACV daily. Do not start with 2 tablespoons at once, start with a teaspoon in a cup of water, gradually increasing it to 2 tablespoons.